Watch the kids play in the park while the pups play in the back yard! Charming 3 bed, 3 bath Craftsman style cottage with heart pine floors and period touches throughout. OPEN great room with gas fireplace and FABULOUS windows! Wonderful light in this plan. 2 beds and 2 baths on the main floor. One bedroom could serve as study or office. Carpeted upstairs bedroom/gathering room is HUGE (over 800 sf) with dual closets and full bath. Upstairs could be separated into separate living and sleeping rooms or support bunk beds with ease. Energy efficient foam insulation in all exterior walls. Tankless gas water heating. Convenient attic storage. Screened back porch with views of The Chapel and a large park. Parking and storage under the home. Fenced yard and broad, open front porch with views of Lake Cameron. Vacation at home right here in Pike Road. 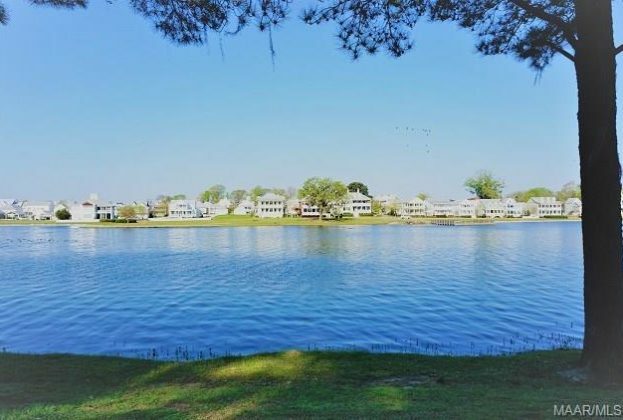 World class fishing, boating, 2 swimming pools, 5 tennis courts, beach, dog park, town square, fire pit, soccer field, playborhood hill, bocce ball, pavilions, sport court, gaga pit, kayaking, canoeing, playgrounds, parks, Trail to Education (trail to school) and much, much more. Shop & Dine at our Town Center businesses! 2.5 miles off I-85, Exit 16 & less than 15 min. to Montgomery’s EastChase Shops & Chantilly Pkwy. Contact Pike Road School (334-420-5310) to verify schools & zoning. Seller has right to approve buyer’s mortgage lender. Come Make a Life of It. Make Your DREAM Vacation Your Everyday Life.